Feminine with a side of rebellion: the Dupree women's shoe slims down our classic 3-eye silhouette, and then goes goth with a pointed toe. This season, the women's shoe serves up high shine with shade of lustrous, metallic pewter. 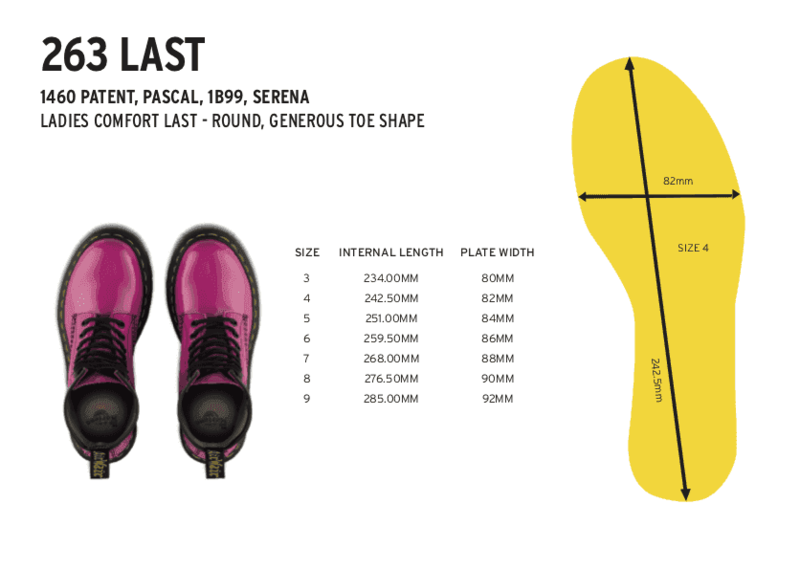 Classic Doc's DNA still remains, though: grooved sides, yellow Z welt-stitching and Dr. Martens undeniably iconic air-cushioned soles.